Australia has always been known for its pristine beauty, though it took some time for us to realise how damaging waste is to the ecosystem. It wasn’t until 1992 when we finally developed a comprehensive domestic approach to waste. This was through the National Strategy for Ecologically Sustainable Development by the Council of Australian Governments. In the almost 25 years since, we’ve seen the Australian government commit itself to better managing waste disposal and better manage hazardous wastes. It all held through to 2009 when Australia’s environment ministers agreed to a more wide-ranging National Waste Policy. Since then, this policy set forth a new path towards waste disposal into the coming decade. Yet, you may still be wondering what our national waste policy is. In truth, Australia still has a way to go to keep up with the influx of waste. Evidence shows between 2002 and 2006, waste generation increased by 31 per cent to 43.8 million tonnes. The above is a sobering reality, proving we still need to enact smarter policies to keep up with how many resources we waste. The challenge comes in the type of materials we waste every year. More complex goods makes it tougher to try to recycle them in landfills. Let’s look at what our National Waste Policy intends to do, and why waste reduction should become a top priority in your Aussie organisation. 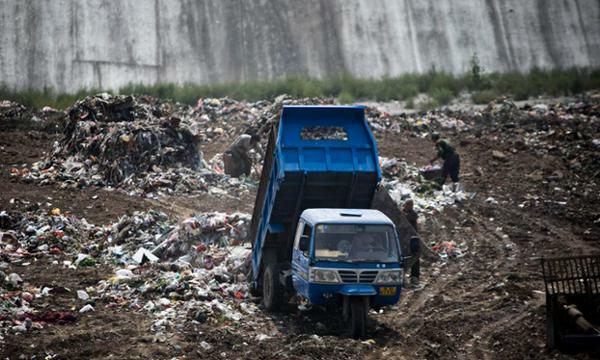 What are the aims of the National Waste Policy? To fall in line with the National Waste Policy, you may want to aim toward reducing the amount of hazardous waste, which can become difficult to handle. You’ll also want to work toward managing waste as a resource. Using a resource recovery method, you can go a different route with your company’s wastes and extract usable resources. Part of this might involve converting the waste into energy. Don’t forget about waste disposal, recovery, and re-use being done in a safe manner to avoid mistakes. Doing this right helps you participate in reducing greenhouse gas emissions, along with energy conservation, efficient water use, and overall land productivity. If this isn’t enough reason to recycle more, let’s look at more detailed strategies you can enact that again go by the National Waste Policy. These give a new direction for how to best approach your waste and brings clarity on how to set up your own program. As some waste management analysts note, the natural beauty of our world is a legacy and right for future generations. We owe it to our children and grandchildren to live in a world that isn’t tainted due to our carelessness in properly disposing wastes. There isn’t any excuse not to when living in a sophisticated and technologically advanced culture. We’re no longer a low-population world taking our wastes, burying them in the ground, and not worrying about the consequences. Taking collective responsibility should give you good impetus toward starting a waste management campaign. When we work together toward leaving a better footprint in how we produce and discard products and materials, we set up the very foundation for sticking with a waste program. It becomes more enhanced when we all take responsibility for either helping or hurting the environment. Let’s never forget a basic truth: Recycling our waste leads to saving major money. Some statistics (in places like the United States) show millions of people working in the recycling industry as a way toward improving the economy. Here in Australia, the National Waste Policy works hard to make sure the recycling industry continues to thrive without impediments. By doing so, it helps bring more jobs and creates a snowball effect in producing more jobs in the waste management chain. Proper handling of hazardous wastes helps reduce mistakes that ultimately lead to environmental disasters. Evidence of what hazardous waste can do comes from when cyclones strike in the Australian mainland. After they occur, it frequently leaves behind waste posing serious health risks to the public. Working toward a consistent, safe, and accountable waste reduction process is imperative toward success. It means smart methods in the recovery of hazardous waste, handling, and the disposal. Another important element to waste policy here in Australia is the remote regions, particularly Indigenous communities. The National Waste Policy has this as one of their top goals, including educating these communities to properly re-use waste materials. Spreading this to isolated areas of Australia helps get everyone involved. Plus, it helps in recovering wastes that otherwise could get ignored by those living in areas with higher populations. An essential element to any policy is providing a data trail to track how a company progresses in their program. Compiling data is important so others can use it to inform their own waste systems. All of this data needs accuracy so it stays up to speed on the latest changes and regulations since environmental challenges keep evolving. Despite being eager to start a waste reduction program, your company is perhaps too new to the process and need some help. Here at T2 Environmental, we’re an online company available to help you manage your waste and recycling so it’s done ethically and efficiently. Contact us to learn more about our services, including a convenient way to order online.